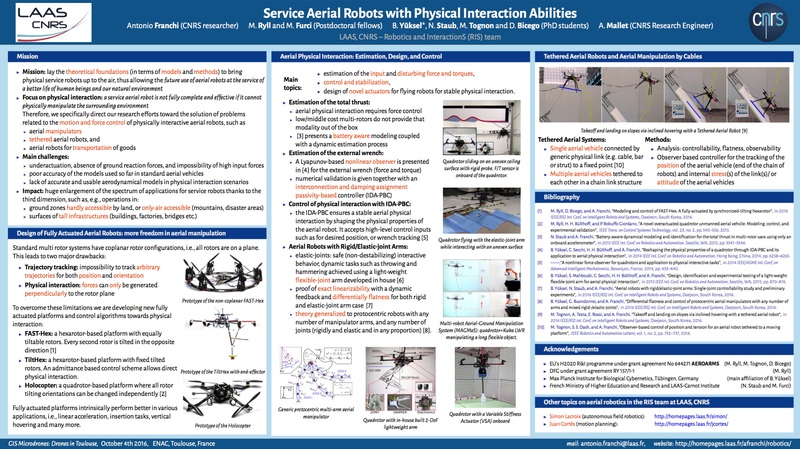 A class of abstract aerial robotic systems is introduced, the Laterally Bounded Force (LBF) vehicles, in which most of the control authority is expressed along a principal thrust direction, while in the lateral directions a (smaller and possibly null) force may be exploited to achieve full-pose tracking. This class approximates platforms endowed with non-collinear rotors that can modify the orientation of the total thrust in body frame. The proposed SE(3)-based control strategy achieves, if made possible by the force constraints, the independent tracking of position-plus-orientation trajectories. The method, which is proven using a Lyapunov technique, deals seamlessly with both under- and fully-actuated platforms, and guarantees at least the position tracking in the case of an unfeasible full-pose reference trajectory. Several experimental tests are presented, that clearly shown the approach practicability and the sharp improvement with respect to state of-the-art.